After our tea workshop we popped by Lady M in anticipation of their crepe cake which looks gorgeous in their promo photos. We were sorely disappointed when we found out that the green tea crepe cake was seasonal, and the replacement was a green tea mousse cake which sounded so much less exciting. Ah well. I’m assuming next year it will appear again. This display case is pretty cool. 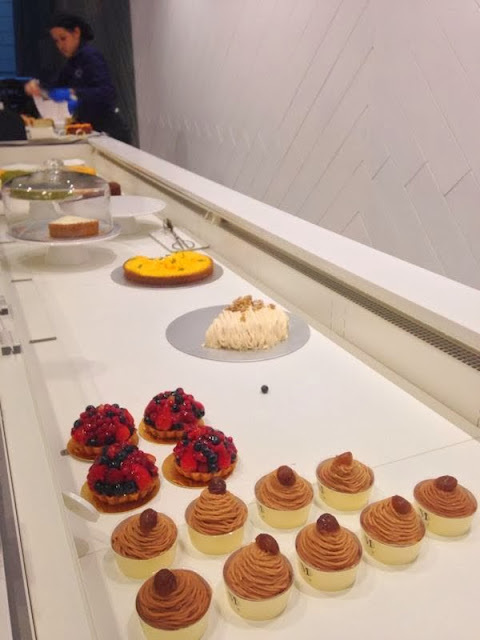 Jets shooting out cool air keep the pastries fresh and beautiful! The crepe cake was delicious. Each crepe was caramelised, together the cake was soft, and there was just the right amount of pastry cream holding everything together. 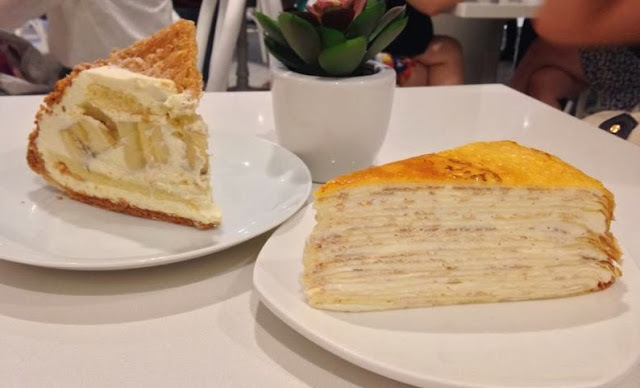 I think it is a notch above Classic cakes because the crepes were more tender and there was much more pastry cream- at a higher price of course. The banana cream pie was bad though. 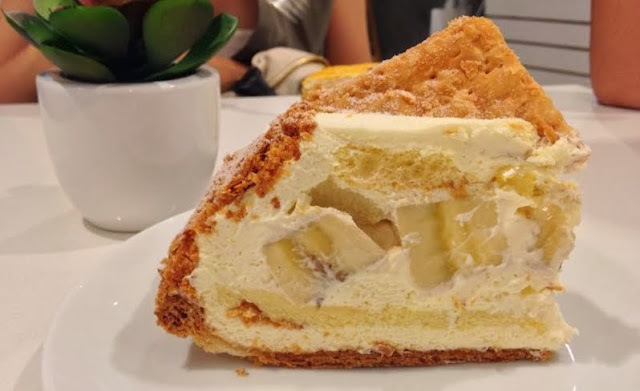 A hunk of cream with raw bananas (that weren’t even ripened to optimal sweetness), plain sponge and tasteless (albeit flakey, I’ll give them credit for that) puff pastry. Horrible. All I could think of was C&C’s delicious banoffee pie. We were scammed into trying this. Bet the server never tried it before tsk. Don’t ever get it.